This is one of the more eclectic mixes for an In The Groove podcast. 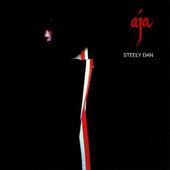 Featured is Steely Dan's Aja album, but the styles run from Straight Ahead (Donald Byrd, Curtis Fuller, Hancock, Mingus) to Fusion (Indian influenced Prasanna, Weather Report). Dig the piano trio from Noah Baerman who will bring his soulful sounds to Titanium in Middletown CT next Friday May 4. This podcast features the new release from Kenny Garrett, Seeds from the Underground. I was fortunate to attend a recent performance of Mr. Garrett's and I can say that this release is indicative of the intensity and virtuosity that he, and his quintet, display in concert. Also, I recently re-discovered one of Weather Reports original albums which I share with you here. Some very upbeat songs follow from Esperanza's new album and a re-release of an older album from Hubert Laws. Finally, Greg Abate lays us onto some new tracks he recently recorded with sax great Phil Woods and we play one of them here. We venture into "The Beyond" with this week's podcast. From Jimi Hendrix to Mahavishnu to Robert Glasper, we span time and space. So get into that altered state of mind and enjoy this spaced out groove. To start this show, we get into Kenny Garrett prior to his performance in Boston that we attended last night. Then some straight ahead jazz from Art Blakey, Josh Evans and Joe Henderson. We then change it up with new releases from Jack DeJohnette and vocals from Kate McGary. The show wraps up with jazz from Rochester's Sneider Brothers. Much of this show is requests from some of our friends and listeners as well as some of my favorites. Claire asked to hear the Dirty Dozen Brass Band and Jimmy Greene, Whitney requested Sarah Vaughan, and Bryan has been wanting a Joe Henderson set. I really dug the Henderson tracks and I think there will be more of that to come in the following weeks. The podcast concludes with a gorgeous intense ballad from Branford Marsalis that I think you will enjoy.